Key to getting the most out of what can be an expensive haul of hair products is the correct diagnosis for your hair type. 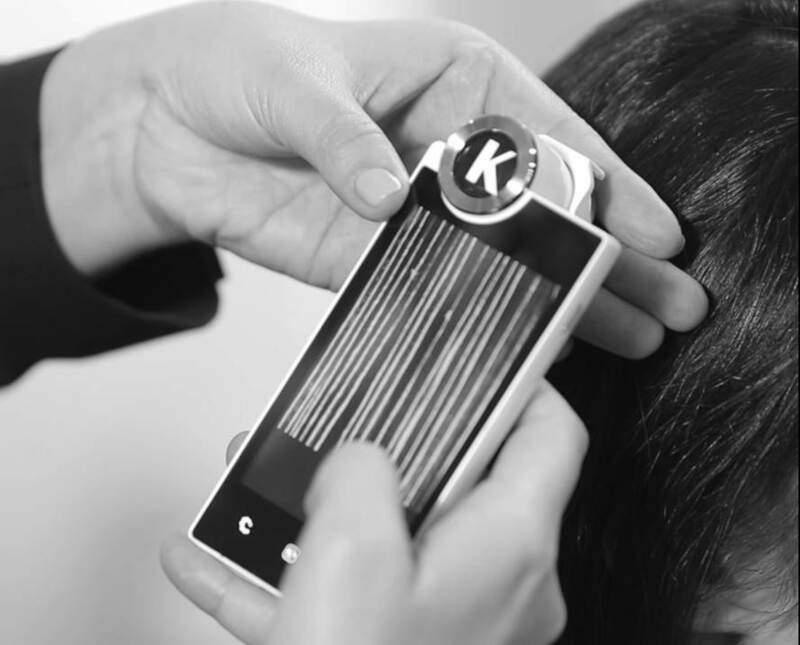 You need the right prescription for hair and scalp, and Kérastase has taken out the guesswork by offering their technologically-advanced Diagnostic Camera (above) to get things right, every time. I was lucky enough to make a visit to the wonderfully serene Oblique hair spa in Auckland’s Birkenhead a few weeks’ ago, where Senior Stylist Elise worked all manner of wonders on my slightly droopy locks. First up she bought out the aforementioned camera, to see exactly what was going on with my hair and scalp. Zooming into the scalp and hair up to 600 times, the camera enables the consultant to create an ultra-precise prescription based on what they find, and it was fascinating – and admittedly, a little gross – to get a really good look. The camera identifies haircare concerns such as excessive oiliness, dandruff and dry scalp, and has the ability to save and compare the clients results to track improvements over time, reinforcing the fact that bespoke hair care really does work. My hair seemed to be in pretty decent shape, but I could see a product build up that Elise set to sorting out using the next step in my appointment. That involved trying a Kérastase Specifique Masquargil before my next blow wave, a treatment that purifies the scalp, allowing the active ingredients to penetrate and perform at the highest level. The salon-only clay mask removes impurities, unclogs pores, eliminates oil and polluting particles and is suitable for all hair types, and as an add on is a definite must-do if you have the time. The end result was an even bouncier than usual blow wave, which last a decent four days and just wouldn’t quit! Part of that was Elise’s natural talent, but a large part as well must be attributed to having totally “de-greased” (for wont of a better phrase) hair that took products and direction even better than before. Check out www.kerastase.com for more about the camera and the treatment, and I highly recommend a visit to Oblique - http://www.oblique.co.nz - before your next event.